Will this the 2017 Best Selling plug-in? 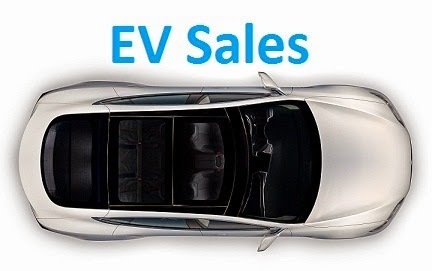 The global EV market grew 30% in April, to over 68.000 units, with YTD sales growing at a 36% rate, surpassing the one million mark by the end of the year is a given, the question will be, by how much? Will sales reach 1.1 million? 1.2? In April, the Best Selling model was the BAIC EC180, with 4.352 units, a new sales record for the little hatchback, that is currently the hottest item coming from China, allowing BAIC to win its second Monthly Best Seller title, after the EU260 sedan had won the first title last October. This allowed the BAIC model to climb two positions to #5 in the YTD ranking and will be a serious candidate for a podium position soon. Another model shining was the Zhidou D2 EV (3.709 units, new personal best), allowing it to reach #8. Outside the Top 10, positive numbers also by another Chinese model, the BYD e5, which recorded 2.512 units, its best result ever. Looking at the BEV / PHEV breakdown, pure electrics now have 65% share, already improving on the 64% of last year, thus becoming the highest share for BEVs since 2011, when they had 75%. For the first time since last October, BYD, 2015 and 2016 Best Selling Manufacturer, won the Monthly Manufacturers ranking, with 6.033 units, allowing it to jump in the YTD ranking to Fifth. BAIC is now pressuring Nissan in the race for #3 and it will be a question of time until the Beijing manufacturer reaches the podium, with BYD back on track, we could even envision Nissan in Fifth place in a couple of months...C'mon Nissan, put that revised Leaf out there as soon as possible! Benefitting from that was Chevrolet, up to #6, thanks to the solid result of the Volt and the performance of the Bolt, which delivered 1.629 units, a new personal best for a model still in launch mode. We are witnessing the largest transformation of the auto industry in the last decades (Just look at Ford), but i believe it is too far fetched to believe in a future where current OEMs do not play a role, after all, Tesla can't do everything alone, folks. Just like Apple is not the sole provider of innovation and revenue in the consumer electronics business, and all the better for that, as diversity is the ground for innovation, Tesla will not be able to shift the transportation and energy ecosystem all by itself, as Elon Musk has recognized in the past. Renault -Nissan Alliance - Already on its way to become one of the Big Three Auto Giants, along with VW Group and Toyota, the fact that Nissan, Renault and Mitsubishi count for one in four Plug-ins in the world (587k units) is itself a telling story, add that The Alliance has several trump cards up its sleeve for the near future, where the renewed Leaf (2018 World runner up after the Model 3?) is just one of them, and it all points that electrification will only benefit the French-Japanese conglomerate, we could even envision Renault-Nissan as the largest automaker in the world in a scenario where EV's take over the market at a faster pace than thought. Hyundai - Kia - Despite being late party crashers, the Koreans came with competitive models (Think Ioniq Electric) at reasonable prices, so once they have enough production capacity to respond the demand they have now and will have in the future (Niro BEV and PHEV, Hyundai Kona SUV...), expect electrification to help the Group to keep on growing in the forseeable future. General Motors - If GM engineering should be praised by supporting plug-ins and creating interesting models (Volt I and II, Bolt...) and preparing itself for the future (Autonomous tech, etc), the business side of GM has been shooting themselves since the beggining, starting by not promoting the first Chevrolet Volt correctly in the US and elsewhere, then by not selling the Second Volt as Opel Ampera in Europe right on the time that PHEVs outsold BEVs there, now with selling Opel right on the time that the BEV Ampera-e prepared itself to be a hit and could save the German brand image from consumer oblivion, you can always count with GM management to boycott themselves from success. With General Motors leaving important markets (Europe, India, Russia...), it is by its own free will becoming a smaller player in the Auto business, if that will translate in a stronger player in the markets it will stay, thus balancing the loss of volume from abandonned markets, remains to be seen, let's hope this time the GM Engineers win over the decision battle over bean counters and these last ones do not shoot themselves too much. PSA - If it weren't for that Opel deal, i would have placed Peugeot Citroen dead certain on the Losers side, as the French Group didn't had a plan or competence on how to make electrification in a short term. But then they bought Opel and all of the sudden they got their hands on the brand with the longest range BEV at a reasonable price in Europe. This was possibly the strongest reason to buy Opel, and should the PSA management pull their strings right (And provided GM doesn't shoot themselves again), there could be an interesting partnership between GM and PSA regarding electrification, after all, if GM is not in Europe and PSA has its stronghold there, they wouldn't compete directly and PSA would have access to the compelling GM models through Opel, while also creating an opportunity to differenciate the German brand (After all, their symbol is a Lightning...) from their French counterparts. At the same time, General Motors would win scale for their Plug-ins, whic is crucial in these first days of paradigma shift. A lot of "ifs", but i wish it works, for the good of both OEMs. Volkswagen Group - The Dieselgate might have been the best thing that happened to Volkswagen in the last years, because it worked as a wake up call from their "We are the best and we do not need to work hard to change" mantra that until then transpired from the largest European automotive group. Fast forward to May 2017 and the German group brands all have EV-dedicated models planned across the range, from Porsche to SEAT. So, despite a late wake up call, they should respond just in time for the major shifts in the market, helped by above average brand-loyalty and an already large plug-in customer base (153.000 VW Group Plug-ins sold, #5 largest in the world). I have placed it in the Losers side because of China, Volkswagen and Audi currently are best selling brands there, but on a fast changing China into electrification, i just don't see them moving fast enough to catch on, so if elsewhere VAG can retain their share, it will lose significant sales on the largest auto market in the world. BMW Group - Tesla is a real threat in the Premium market and of the Three German Marys, BMW was the first to make a serious effort to win space in the EV niche, first with the i3 and i8, clever models (And branding) that didn't stealed sales from their established nameplates, then with PHEV versions of their regular models, now with plans to expand the lineup with long range BEVs, BMW, is one of the Premium automaker best prepared to resist the impact that Tesla will have on that category, so the German carmaker will lose customers to Tesla, but at the end of the day it won't suffer as much as other Premium brands. FCA - A late convert (If it really has), the fact is that their first true Plug-in (The Fiat 500e is a compliance car), the Chrysler Pacifica Hybrid is a potential sales champion in North America, not only because it is a compelling product, but also because there's nothing like it. Imagining that drivetrain across the range (Maserati, Jeep, SUVs...) shouldn't be that hard and could be enough to hold their share in North America. In Europe it will be another story, the 500e would have been a hit if properly launched in Europe, but because it wasn't and there are no signs of something like that happening soon, expect Fiat to start losing share at the same pace that Plug-ins steal share at regular ICE models. Ford - Having been one of the pioneers of the EV game with the Focus Electric, one would think that the American brand would be a winner of electrification. Not so, in a niche that moves much faster than the mainstream market, six years without significant changes in their offerings is way too long, and without competitive specs, Ford is losing already the EV train. Let's see if the recent leadership can turn things around, but if it goes through this same path, not even their large Pick-ups will be safe from eroding sales. As for Lincoln, i doubt they will survive much beyond than the five years of this forecast. Toyota Group - Once the poster child of electrification with its Prius hybrid, now Toyota is in the uncomfortable position of running from behind, considering the success of the new Prius Plug-In, and if they put a Plug in all hybrids sooner than later, i believe they can turn around the table and not lose too much sales. On the other hand, Lexus should suffer greatly as Tesla reaches adulthood, leaving it in five years somewhere where Lincoln is now (Diehards brand). Honda - Desperately changing their strategy (See Clarity), the Japanese carmaker is not in a comfortable place, having failed in their previous Plug-in attempts (Accord PHEV...) and with FCEVs on their way to the Dodo, they are almost starting from scratch and are another OEM hoping to partner with GM to have some sort of EV plan. We wish them well. As for Acura...See Lexus. But worse. Mazda, Suzuki and other independent OEMs - Electrification is a resource-eating feature that cannot be done successfully alone, so they have three choices: Partnership with a larger OEM (GM? Toyota? ), being bought by one of those OEMs (Remember Mitsubishi) or...Being slowly destined to insignificance. The European passenger plug-in market had some 17.500 registrations last month, up only 6% over the same month last year. Despite this slowdown, the market is up 24% this year, with the EV share now standing at 1.4%. Despite some supply chain issues that will only be completely cleared in June, the Renault Zoe remained Master in Command both in April and YTD, with the BMW i3 and Outlander PHEV recovering some ground over the ageing Nissan Leaf. #1 Renault Zoe – Due to some quality glitches, the delivery of some 2.000 Zoe was delayed, hurting April’s performance of the French hatchback, that last month only registered 1.627 passenger units, its worst result of the year, but still enough to win for the fourth time in a row the Monthly Best Seller status in Europe. Due to these hiccups, the model performance suffered across Europe, like in its home market (939 units, down 5%) or Austria (96, down 2%), but nevertheless, it managed to grow in the all-important German market, with 280 units, up 27%. 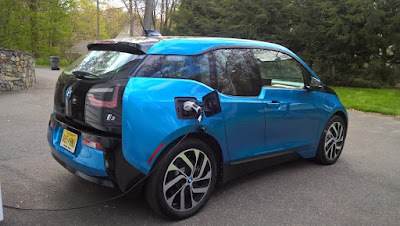 #2 BMW i3 – The German Hot Hatch had its worst selling month in Europe since the massive arrival of the 33 kWh battery, with 1.562 units being delivered, despite this, deliveries were up 27% YoY, with good numbers especially in Norway, with 426 units, all of them being BEV(! ), but also in its home Germany (357), United Kingdom (195) or Austria (93). Looking ahead, expect deliveries to slowly drop throughout the summer as people anticipate the revised version, coming later in the year. #3 Mitsubishi Outlander PHEV – After a tight race with the BMW i3, the Japanese SUV ended March in Third Place, with 1.507 units, down 15% YoY. Although reaching interesting sales levels in important markets, like Germany (294 units) or Norway (222), Mitsubishi will have a hard time to find a replacement for the United Kingdom sales, as from now on incentives for PHEV’s have become much less appealing there. 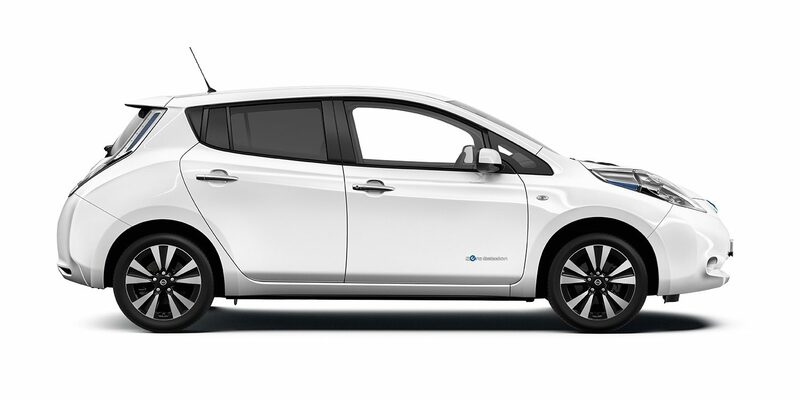 #4 Nissan Leaf – Thanks to deep discounting, the ageing hatch is resisting the newer offerings, reaching Fourth Place, despite registrations down 31% YoY to 1.326 units. With steady sales in its stronghold markets, like Norway (287 units), the United Kingdom (350) or France (198), and a surprising performance in Sweden (189 units, a new record), the veteran model is keeping momentum by appealing to a new demographic, still untapped by EV’s: Bargain Hunters. 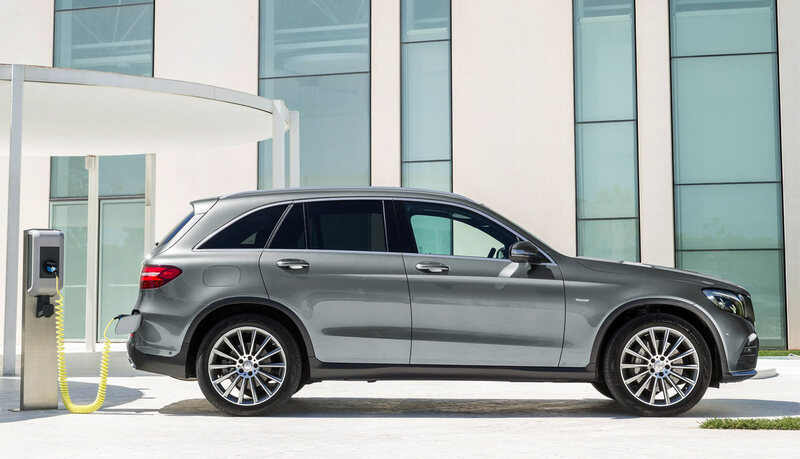 #5 Mercedes GLC350e – The (not so) surprise of the month, the trendy Mercedes model is in the intersection of two hot trends in the Old Continent: SUV’s and plug-ins, all served in a Euro-friendlier size than the Yacht-like models above it (Tesla Model X, Volvo XC90…), reaching #5 in April, with 961 units. 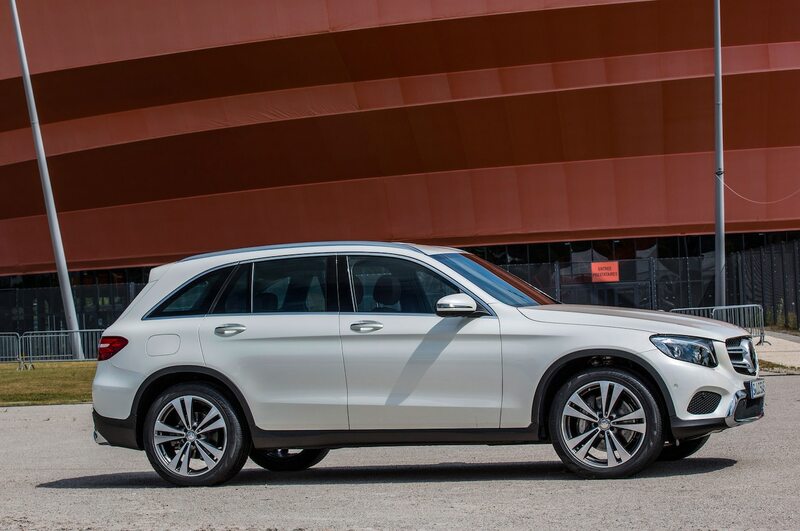 The largest markets for the Mercedes SUV were Belgium (204 units, new record), Norway (179 units) and Germany (126). The three-pointed-star has hit a home-run with this model, especially considering that it doesn’t have direct competition among the Premium Brands. YTD Ranking – Zoe Steady in #1, Mercedes GLC350e up to #7. Looking at the YTD ranking, the top positions remained stable (See disclaimer), with the highest position change occurring only in the Seventh Spot, with the Mercedes GLC350e reaching its best position to date, now looking to reach the rear of the Tesla Model S and VW Passat GTE in the near future. Other models on the rise are the BMW 330e, now #8, and its 225xe Active Tourer relative, in Tenth, making three BMW’s in the Top 10. Underlining the positive momentum of pure electric cars, we salute the return to the Top 20 of the VW e-Golf, with the German Hatchback delivering 669 units in April, its best result in 12 months, thanks to the massive delivery of the larger 36 kWh battery. With the Opel Ampera-e (Chevrolet Bolt in Euro-spec) volume delivery now underway in Norway (More than 150 units delivered there in May) and elsewhere, expect the Opel EV to reach the Top 20 during the summer. Looking at the manufacturers ranking, BMW (20%, up 3%) is seated on the Top Spot, followed by Renault (13%, down 1%) in Second Place, while the Third Place is being hardly fought by Nissan, Mercedes and Volkswagen, all with 10% share. With the Wolfsburg brand now making the restyled Golf plug-ins at full speed, expect it to beat the competition in the next couple of months and race Renault for the Second position. Disclaimer: Due to some data adjustments in the March numbers, the models positioning were subject to changes regarding the March article. After visiting relatives and taking coffee close by, I found two guys staring at the car. - It’s electric, isn’t it? - Really? How does that work? - 170 horsepower? Nice…How much does it cost? - I had seen one before in New Jersey…Looks cool! New Bedford was a welcome surprise, with a number of slow chargers within the city limits and EV’s zooming around, two Chevrolet Volt II and three Nissan Leaf, one of them belonging to the town hall. No Teslas though. Nevertheless, it was the first place in the US where I felt having an EV wasn’t something alien to the locals. The largest travel of this road trip, with 158 miles (255 kms), it would surely only be achieved using the range extender, but nevertheless I wanted to try and do it all in electric mode, so I stopped for a few minutes at the Fast Charger in Middletown, but not much was added, as the top 20% of the battery takes too long to charge. So, with 125 miles to go, after a I95 Freeway trip with A/C on, the last 15 miles were made using the gas engine. 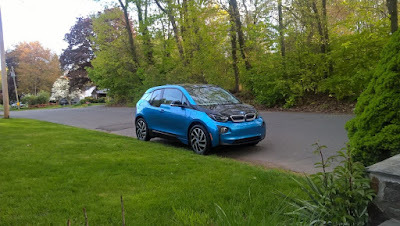 Already in Waterbury, I noticed that the car in gas mode behaves like a regular hybrid, once the batteries have a minimum charge from regenerative breaking, it returns for a few seconds to electric mode. - You’ve got a funky little BMW! - Yes, want to check it? - You must have a lot of people asking for the car, right? - Great little car, I have to tell my husband about it! 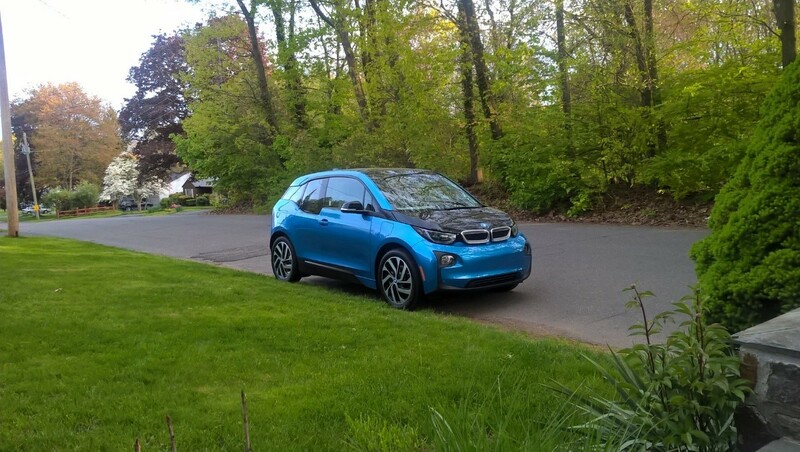 Saving the best for last, this was the trip I enjoyed most the BMW i3. The last part of the 90 miles was done in the middle of the New York traffic, and in this environment the German hatchback excels, with its agile handling and swift lane changes, while leaving other vehicles in the dust in red lights. - Striking Looks. I already loved the detailed design of the car, completely different from everything else on the road, with a character that reminded me something between Star Wars and an angry puppy. What I didn’t expected was that its design became a such a magnet, drawing attention everywhere it went. - Supple ride/Small on the outside, big on the inside. It is a small car, but it doesn’t feel like it on the inside. Because the battery pack is flat on the floor, the interior space is maximized and with the help of the high ceiling and large windows, you do not feel claustrophobic. With a surprisingly supple ride, you only realize the small size of the car when parking or changing direction. - Power. While it’s not Tesla-fast off the line, it builds up speed like few hatchbacks can and feels like it can pull an airplane. - Range extender. Range anxiety? What range anxiety? 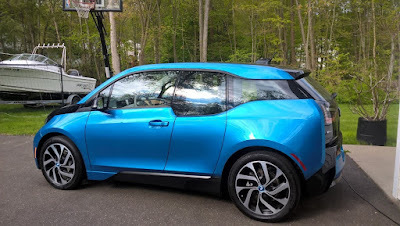 When the model came out a few years ago, I wasn’t really in favor of the Rex thing, but after trying it, I have concluded that it allows you to run more miles in electric mode than if you hadn’t, as sometimes you would have to limit yourself to the electric range of your BEV. Not in this case, with an average 120/130 miles electric range and fast charging availability, it does whatever other 30-something kWh battery EVs do AND you do not have to worry if you only have 15% battery charge, because you always have the Rex safety net to pull you out of critical situations. As an example, of the 800 miles (1.300 kms) I did in a week and a half, only around 30 were made in gas mode. Not bad, eh? - Small Size (For US roads). In Europe this is not an issue, as similar-sized superminis abound, but in US roads it feels rather small next to giant Trucks, Pick-ups and SUVs, and it might be one of the reasons why the electric BMW hasn’t catched on in the USA as it did in Europe. - iDrive. At first it was really unnerving working with the button-based BMW multimedia system, now that we are used to use touchscreens in everything, from cell phones to cars. The large number of menus and submenus are not intuitive and takes time getting used to it and even then, it was more distractive than the multimedia system on the Nissan Leaf.